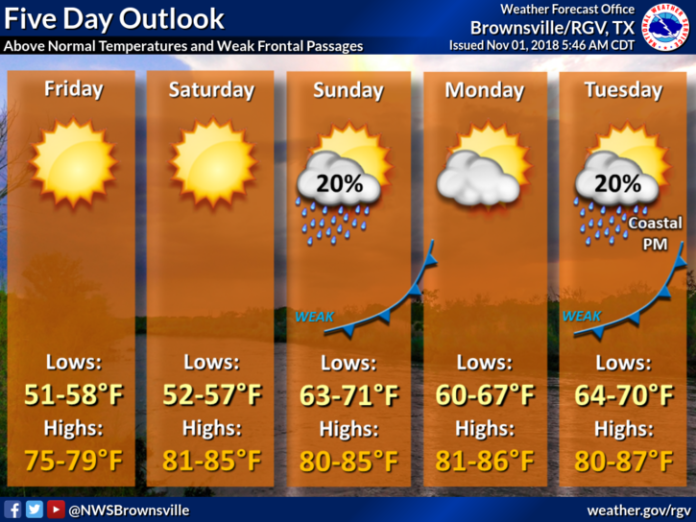 Highs are predicted to reach the 80s this weekend and slightly increase into early next week, according to the National Weather Service in Brownsville. 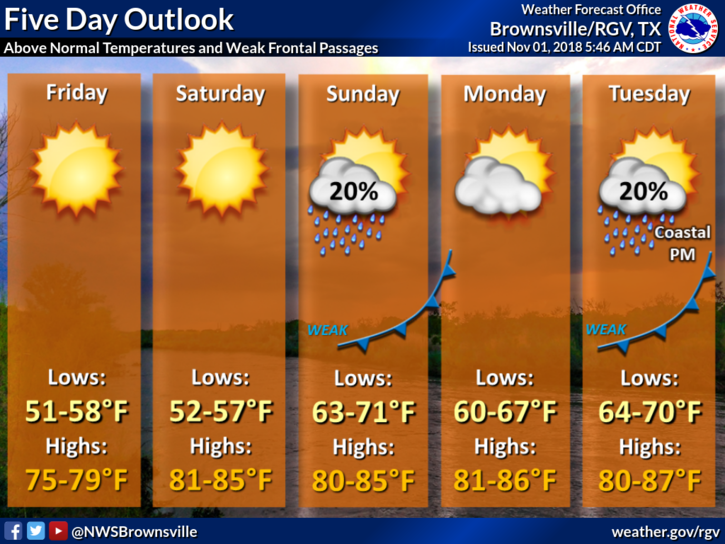 Lows should stay in the 50s through Sunday, then warm into the 60s and 70s for the next few days. There is a small possibility of isolated showers Sunday and Tuesday.